As previously posted, in 11PE we are learning about self management, and strategies we can employ to increase our self management skills. 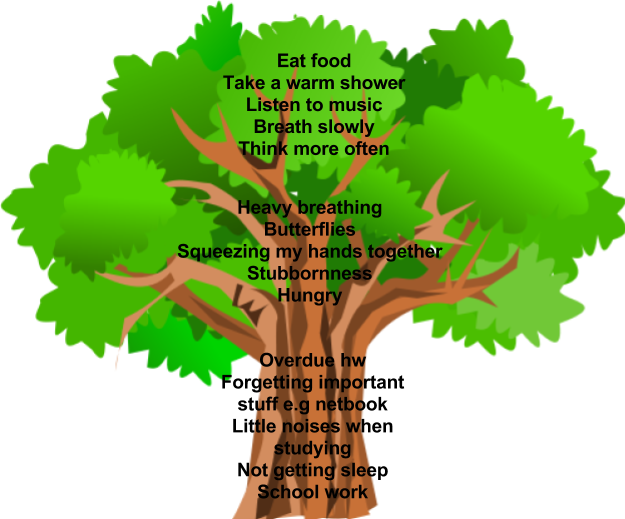 One of the strategies has been stress management. Many people know what stress management is, but often don't take the time to consider what actually stresses them out, or how to recognise stress. I feel stress management is something we all need to take the time to think about in our crazy busy lives. I know right now I am feeling very overwhelmed with everything, like my to do list is getting longer rather than shorter. I'm even writing this blogpost in procrastination of ticking off things on the to do list! But reflecting and sharing like this calms and focuses me a little - a resolution or management of my stress. 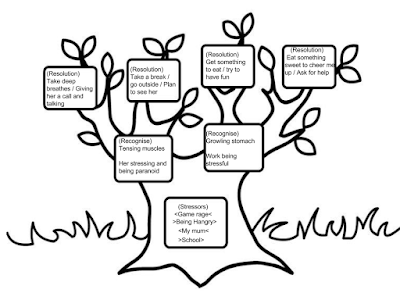 The students today needed to create their own stressor trees to identify the things in their lives which stress them out, how they recognise they are stressed and what they can do to manage stress. 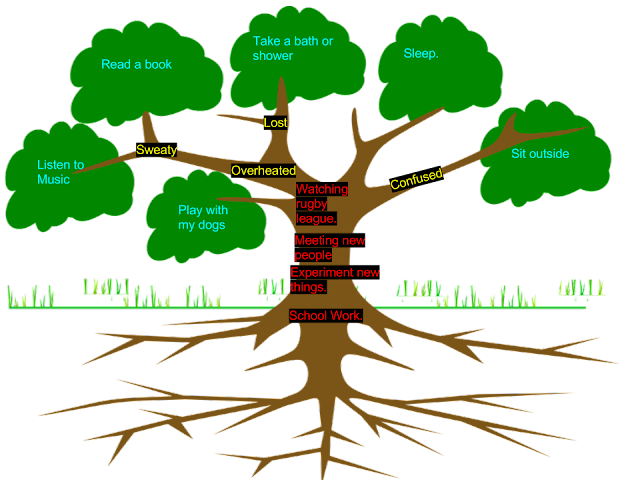 This reflection time enable students to analyse how they can manage their stress levels to ensure a balanced wellbeing. 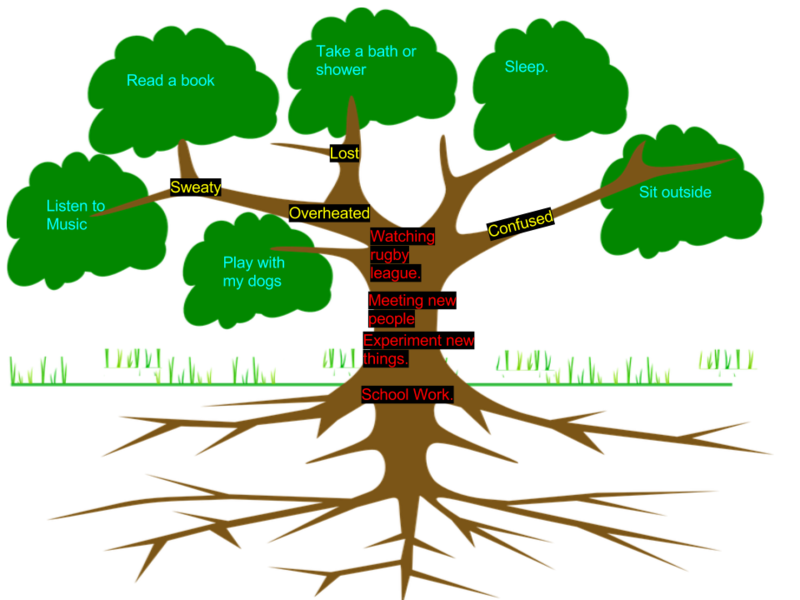 I recommend anyone complete this simple activity because I think it helps to reduce and control stress levels. 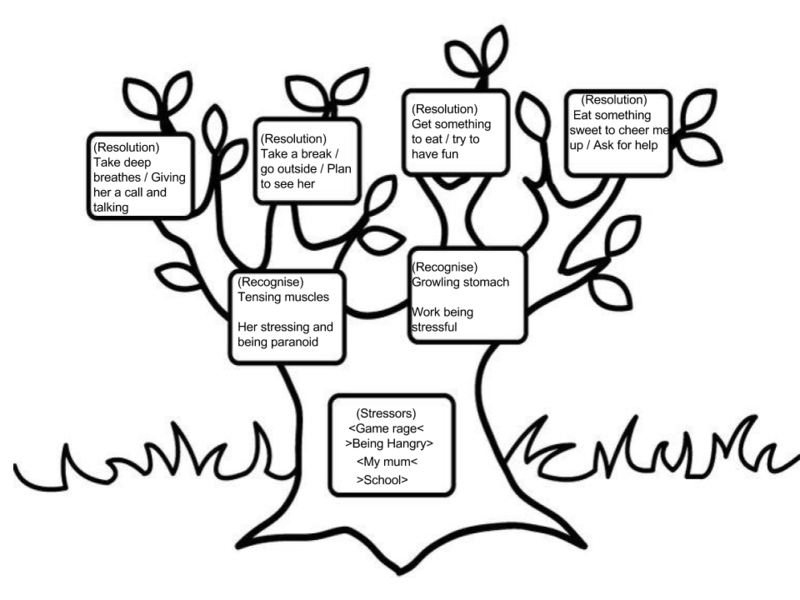 Other strategies for self management we have discussed have been SMART goals, self control, motivation, resiliency, and feedback & feedforward.